Your wishes will be displayed on Big screen. A Birthday/Anniversary wish message (image based) at your nearest theater. Your message will be shown for 15 seconds as the last advertisement before the movie starts. 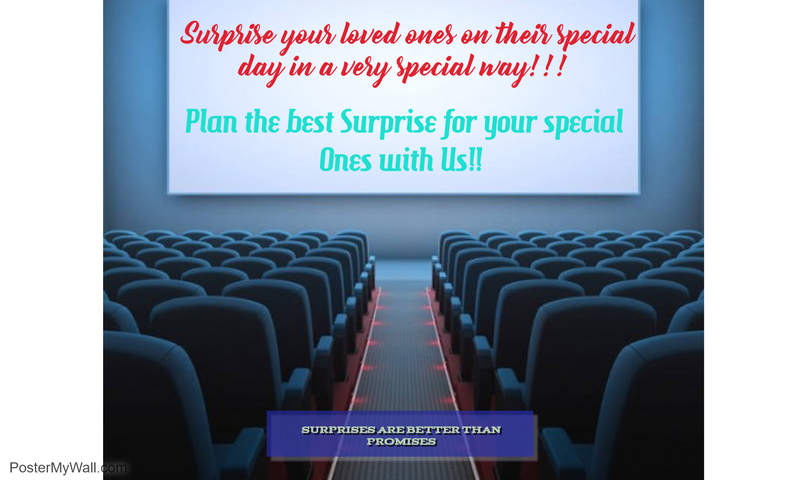 The content for the surprise should be given by Customer. Order Should be taken before 72hours. 1. The pricing may vary depending on the theatres & location. 2. The slides will be displayed only during the interval. 3. HD Image should be uploaded with the order.